"Jakwob's inheriant eclecticism trancednds genres, combining elements of dubstep, electro, ghetto-tech and breakbeat (to name a few). 'Right Beside You' is a beautiful and intreiguing mix of these influences." 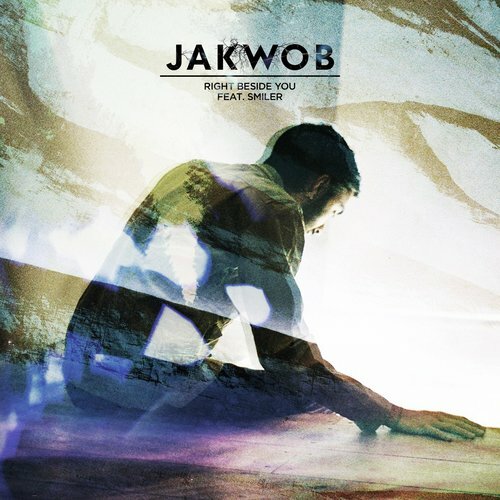 I first became aware of Jakwob by way of his fantastic dubstep remixes, putting his unique spin on tracks by some of my favorite UK artists, including Ellie Goulding, Katie Melua, Frankmusik and Jessie J. Jakwob is known for his fantastic DJ sets and is always a hit on the festival circuit. Last year Jakwob played a string of European festivals including Glastonbury, Secret Garden Party, Bestival, Pukkelpop (Belgium) and a whole slew of others. What's more, Jakwob recently completed his second U.S. tour, which included dates at SXSW and Beyond Wonderland. Can't wait to hear more! In the meantime, stream his fanstastic new single, "Right Beside You" below. The single will be released in the UK on June 20th. Back in February, I posted about a Canadian singer named Brock Zanrosso. The talented youn singer appeared on Canadian TV in the reality competition, Next Star, and went on to release two singles with the help of Hipjoint Productions (Kreesha Turner, Kelly Rowland). Going in a decidedly more pop/R&B direction along the lines of Jesse McCartney and Blake McGrath, Zanrosso's latest single, "Perfect Storm" is as catchy now as it was when I first heard it. In my last post, I expressed concern that Zanrosso could easily be lumped in with any number of reality TV pop stars (i.e. David Archuleta, Adam Lambert), and today I still have those very same reservations. The song's electro-pop feel definitely vibes closer to Adam Lambert territory, but Zanrosso's prescence isn't anywhere near as flamboyant as Lambert's. Now - I'm not saying he needs to BE Adam Lambert. No, absolutely not! I'm just saying that, if you're going to go ELECTRO pop you gotta go all the way and I don't think "Perfect Storm" is a strong enough vehicle for that. As far as the video is concerned, Zanrosso definitely does get a little bit freaky in the recently released video for "Perfect Storm," I think he could have gotten a bit (dare I say it) freakier? That being said...the song is still catchy. I think I was just hoping that the video would push me in a firm "YAY" or "NAY" direction and it unfortunately didn't. Check out the video for "Perfect Storm" below and download it on iTunes HERE.